Team Baudry showed up in force in very inclement weather to compete in the first annual Spinal Research Foundation running race in New Orleans. 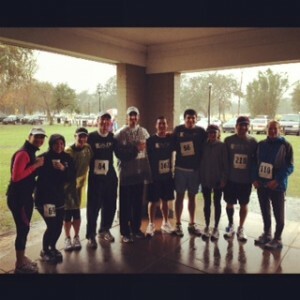 Sponsored by Southern Brain and Spine, the race was a big success in spite of the weather. This was the first in Baudry Therapy Center’s spring running series. The Spinal Research Foundation is dedicated to improving spinal health care through research, education, and patient advocacy. For more information on Baudry Therapy Center’s spring running series, to join us next run, or the role of Physical therapy in spinal health, like us on Facebook , follow us on Twitter, or contact our office.